You may be wondering why there has not been any new Kraus translations or blog posts over the last year or so. The reason is quite simply that we have been busy with other things: projects, life, etc. We hope to get back to translating Kraus before very long. I, for my part, have been working on an English translation of Ludwig Wittgenstein’s Familienbriefe. My translation will be published by Bloomsbury under the title Wittgenstein’s family letters: corresponding with Ludwig, a wonderful volume and the first English translation of select correspondence between the Wittgenstein siblings and other Wittgenstein family members—Hermine, Paul, Gretl, Helene, Max Salzer, Marie Salzer, and Ludwig—over a period stretching some forty years. This project was initiated by my friend Radmila Schweitzer, the Secretary General of the Wittgenstein Initiative in Vienna, and has benefitted from the support of Wittgenstein scholars, friends, and colleagues from Italy, Austria, Great Britain, Germany, and the United States, whose kind support, guidance, criticism, and encouragement have made this project better than it would have otherwise been. Of particular note in this regard is, first, Bloomsbury, who has provided kind and professional support from the very outset and, second, the editor of this volume, Prof. Brian McGuinness, one of Ludwig Wittgenstein’s biographers and a preeminent Wittgenstein scholar. His guidance and counsel have proven invaluable, and this project is all the better for it. On a personal note, I wish to say that Wittgenstein’s family letters has been exciting and has confronted me with challenges unlike any I have hitherto faced as a translator. Chief among these challenges is the translation of seven different voices, which vary and change from situation to situation, year to year, etc. 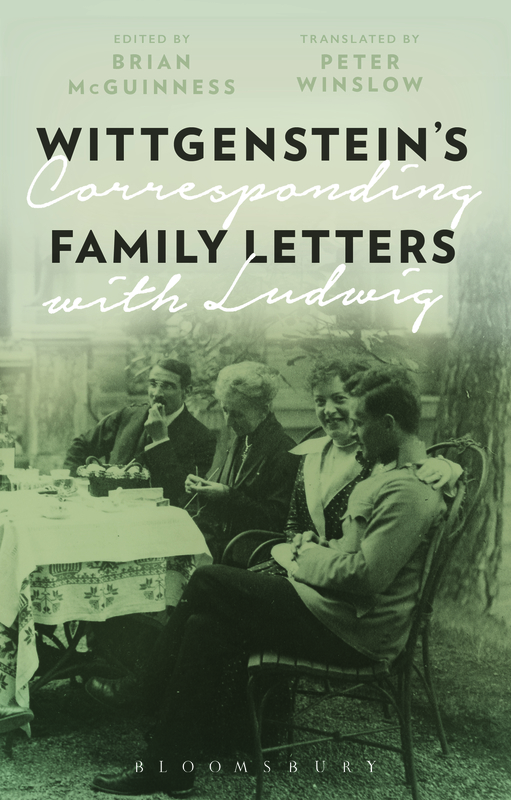 —All in all, Wittgenstein’s family letters has been a wonderful project, and I hope it meets and exceeds expectations.